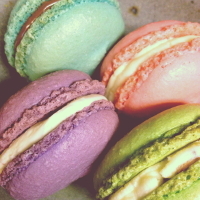 We make delicious macarons! We love to create tasty treats that even our gluten free customers can enjoy. We fill our macarons with yummy buttercreams, ganaches, or salted caramel. You can check out our website for all of our flavor options. We're happy to cater events too. 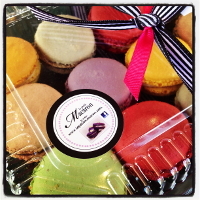 Our macarons love parties! See more on my website! I will be joining the Bazaar May 1-3 and May 8-10.